Click on the SETTINGS button and you will see a drop-down menu appear. 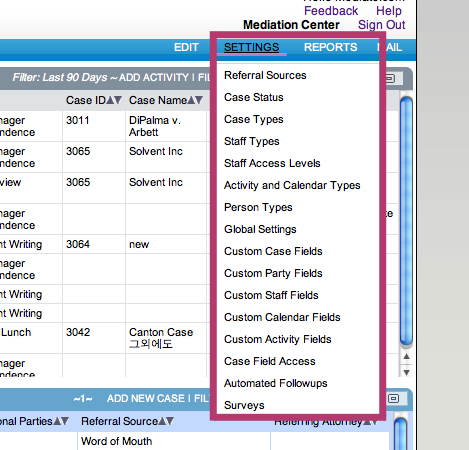 All of these items should be edited and personalized as much as possible before beginning to use Caseload Manager. You can always come back and additional fields, and edit the fields that you have created.